There were four great entries from Knoxville Game Design for Ludum Dare 39. The theme for this competition was Running Out of Power. The entries by our group are listed below in no specific order. Let us know if we missed your game! Multiple US cities have been hit with simultaneous power grid failures. We are RUNNING OUT OF POWER. 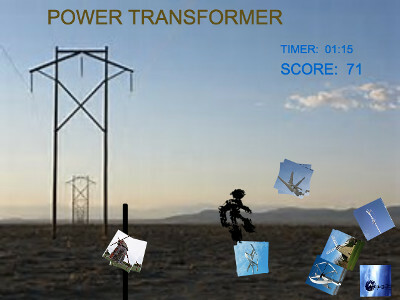 The government has tasked YOU—a PowerTransformer—to put as many windmills as you can back in operation in a limited amount of time in order to get power restored to a maximum number of households. 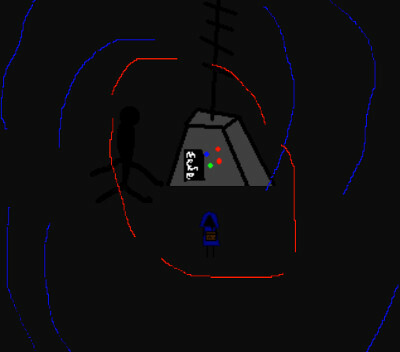 Lost signal is game in which you have to find digits to a code to escape a strange abandoned building. Away Team is a resource and squad management simulation game where your goal is to get home. 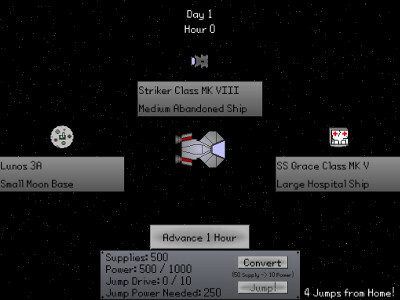 Your ship is stranded 4 jumps from home and each jump takes a certain amount of power and time to charge. You can send an away team on resource gathering missions to nearby asteroids, abandoned ships, and more. You can convert supplies into power and once the jump is charged, make your way home! Help Slowbot activate the three lights in each level. Slowbot’s power will gradually decrease over time. 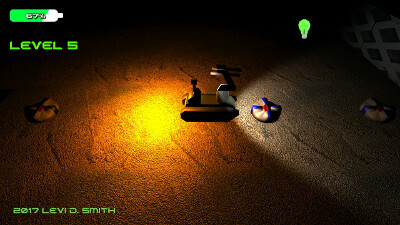 Slowbot will become slower and headlight will dim as power decreases. Moving makes Slowbot’s power decrease more rapidly. Picking up a battery will restore some of Slowbot’s power. Touching a mine will drastically lower Slowbot’s power. 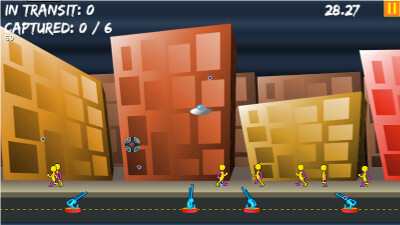 Capture as many humans as you can before time runs out! 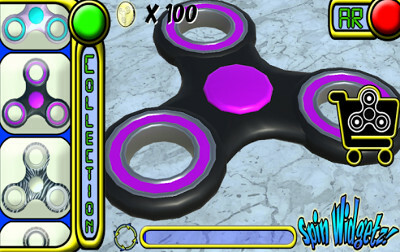 Spin Widgetz is the ultimate collectible Fidget Spinner experience with true Augmented Reality mode. Spin your spinners to earn gold, then use gold to get new spinners!